This is an easy and quick recipe although it is traditionnal. In my recipe you have to do the caramel yourself but for the lazy cookers you can also use ready to use caramel. Let’s prepare the caramel heating slowly the sugar and the water in a pan. Stir regularly with a wooden spoon. As soon as the sugar is golden brown, pour it in the four ramequins so that spreads to fill the base. In a bowl, beat the eggs and add the vanilla extract. In a pan, heat the milk with the sugar. Once the sugar is melted, pour onto the eggs while stirring energetically. Pour this mixture, on the caramel in the ramequins. Arrange the ramequins in a baking pan filled with water up to 2 cm like a bain-marie. Let the caramel puddings cool down and refrigerate at least 1 hour before serving. When serving run a knife around the edges of the ramequins to loosen a bit then invert the ramekins on the serving plate. 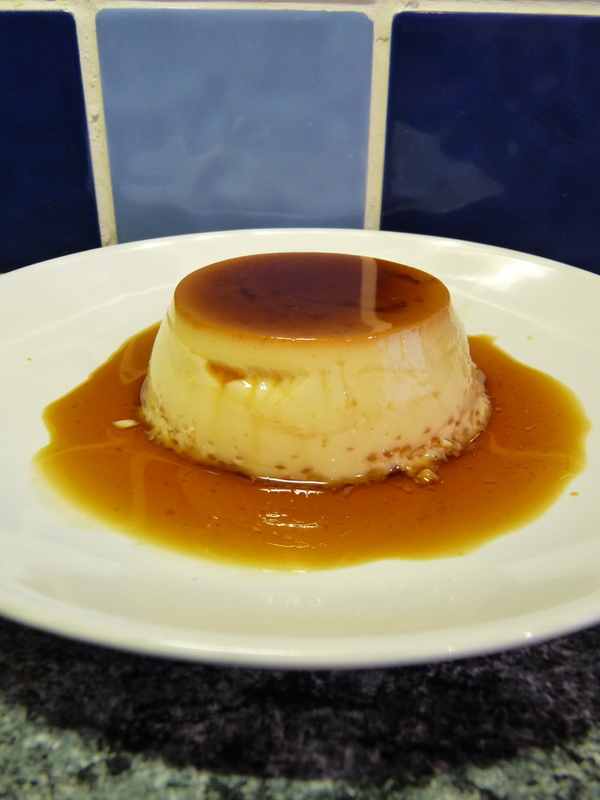 This entry was posted in Recipes and tagged caramel pudding, crème renversée by thebloodyfrog. Bookmark the permalink.